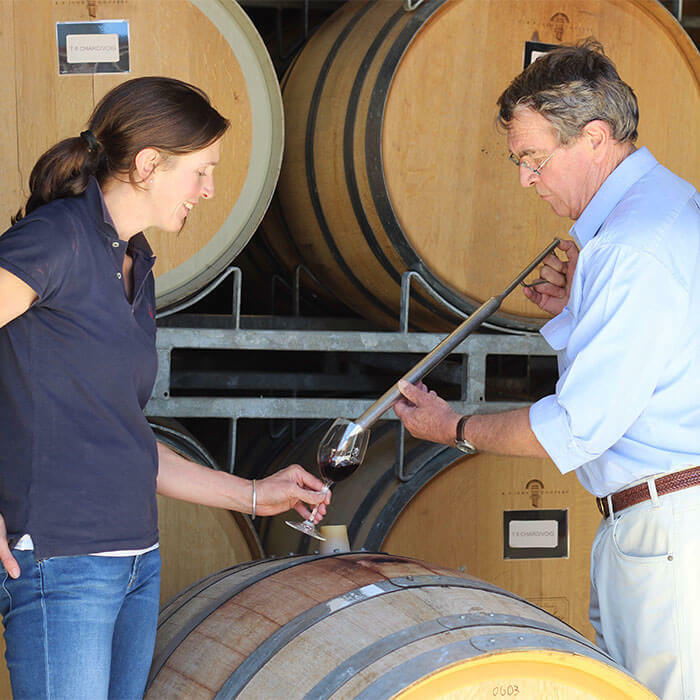 Fourth and fifth generation winemakers, Colin and daughter Julie, believe their role is to maximise and protect the natural fruit flavours that Rutherglen so reliably provides. At Campbells, we are in a privileged position. We have five generations of knowledge of winemaking in the Rutherglen region. 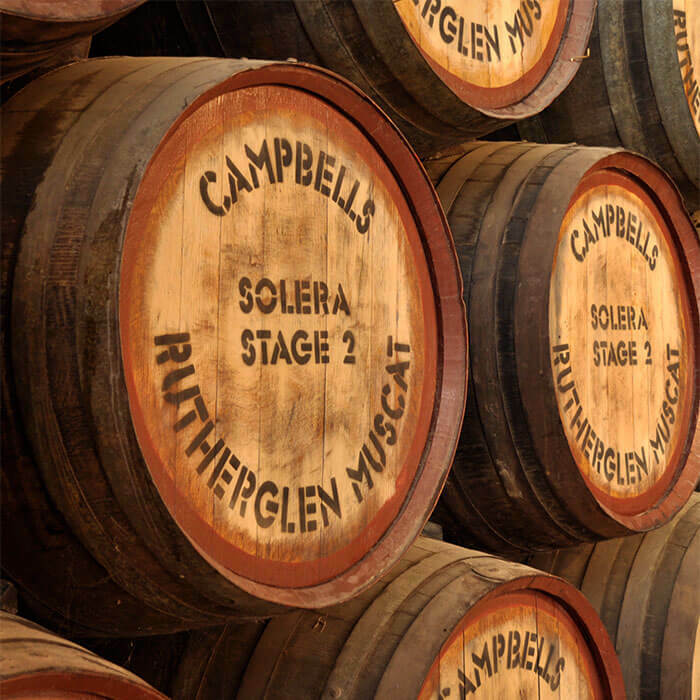 Our philosophy is to capture the full flavours of Rutherglen into wines of complexity yet elegance. 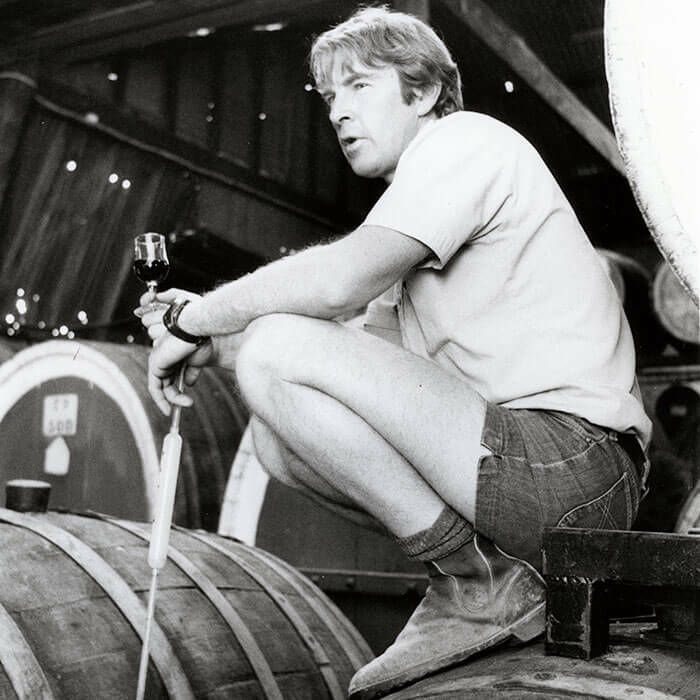 Fourth and fifth generation winemakers Colin and daughter Jules have a hands-on approach and enjoy the opportunity that every vintage brings to nurture and truly express the best of each grape variety. French and American oak barrels are used sparingly in the fermentation and maturation of selected wines with the aim to enhance, never to dominate the natural fruit flavours. While the reds are stored in barrels stacked in air conditioned comfort, our muscat and topaque cellar remains the domain of giant ancient barrels gently nurturing their precious contents for decade upon decade, allowing these wines to patiently age to mellow maturity. They are truly our ‘sleeping giants’. To guarantee the consistency and quality of the muscats and topaques into the future, Colin established a solera system. These special wines of Rutherglen are recognised as two of Australia’s greatest gifts to the world. Our house style is complex yet elegant displaying a rich purity of fruit flavour.